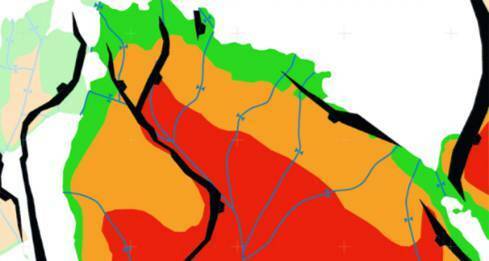 We were selected by our client to analyse the potential for hydrocarbon charge from Jurassic source rocks to de-risk the charge model ahead of a decision on drilling. The work concluded that hydrocarbons had been expelled in large volumes along direct migration pathways to the prospect, significantly de-risking charge. The modelling was a key factor in the sanction of drilling by the joint venture which resulted in the discovery of a major oil field. Subsequent oil discoveries in the region have also been located on migration paths mapped by the team.